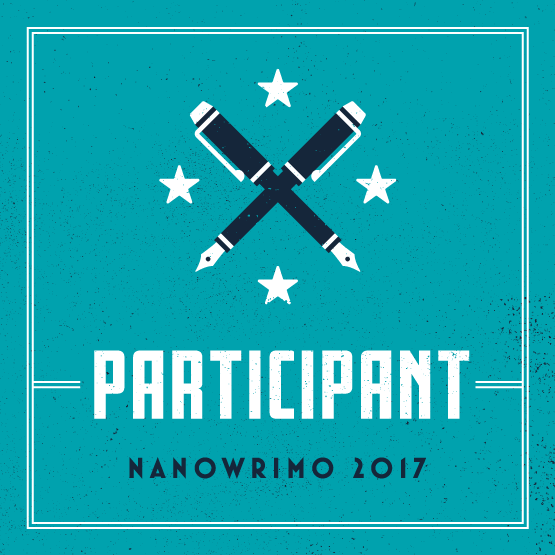 Today is the first day for NaNoWriMo 2017! It’s always good to start strong. It takes a little pressure off other days. My word count for each writing day needs to be over 2000 words per day. That’s a lot. But I know I don’t get much accomplished on weekends. Then there is Thanksgiving. So when I planned my word counts for the month, I took that into consideration. This morning, I cleaned the kitchen before work and set up my work space. That way when I came home I could make coffee and get right to the writing. Which I did. But it was hard. Yesterday, I realized that I plotted my story too early. Meaning I needed several scenes added to it before I could write the first scene I planned. When I started this morning I had to write those initial scenes cold without much of a plan. I don’t work well that way. But I did it. That’s what matters. Tomorrow I can start writing where my plot cards start. That should be a little easier. I hope.